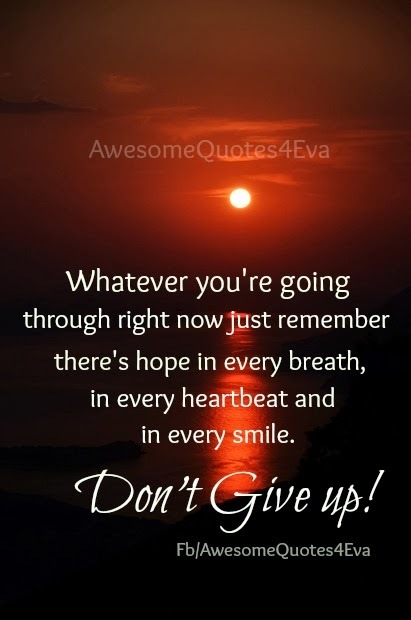 Awesome Quotes: Don't give up! Whatever you're going through right now just remember there's hope in every breath, in every heartbeat and in every smile. Don't give up!